Serious projects call for serious tools. That’s why U.S. Diamond Tool offers a selection of professional grade saws and cutting machines that contractors can rely on to tackle even the toughest projects. 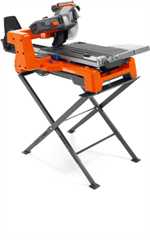 Whether you need a masonry wet saw, a tile saw, or even a walk behind concrete saw, you will find them all here. U.S. Diamond tool knows how important it is to have reliable tools. That’s why we only offer proven products that can go the extra mile. Browse the sections below to find the right tool for your job. At U.S. Diamond Tool we can help you find a great deal on a high speed hand held saw, a portable tile wet saw, or the cutting blades that go with them. Don’t waste your time with low quality products that are unreliable and waste time on the job. Find a quality product here from some of the world’s leading manufacturers! U.S. Diamond carries high speed hand held saws from the world's leading manufacturers. U.S. Diamond carries gas and electric walk behind saws for any application. 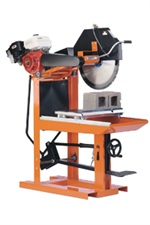 U.S. Diamond carries masonry saws to cut brick, block, brick pavers, and stone. U.S. Diamond carries tile saws for any size application.